Location’s most significant effect is its role in possibly determining the case’s venue. However, by looking deeper, we find that beyond determining venue, the location may also have significant ripple effects on the case. 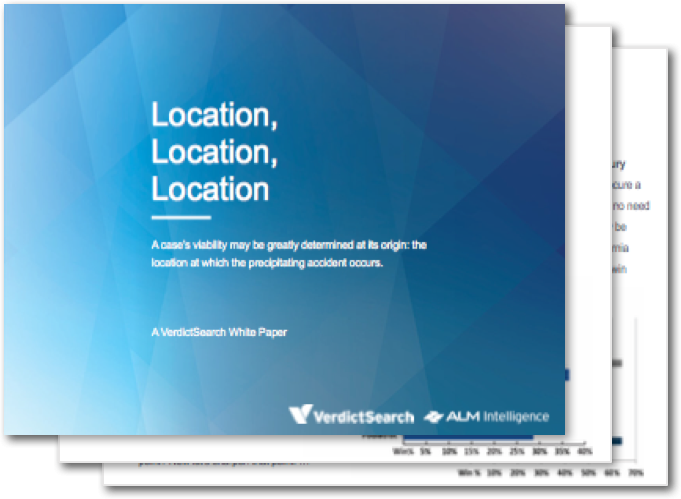 Using data from VerdictSearch, Glenn Koch, Editor in Chief of VerdictSearch, has compiled studies to create this white paper where he analyzes specific topics to explore factors you may never have considered when determining a case’s value and viability.